Core Set 2019 is fully revealed, and that means the wild speculation can begin. As I began with the last set, my focus during preview season is oriented towards Modern since that's the format I play by far the most often, so let's get into it. The first thing I've noticed is that this set is fairly weak when it comes to Modern. There's lots of big creatures with the Dragon theme, which have a hard time making it in larger formats unless they're powerful enough to act as reanimation targets, and these, to be frank, are not. There are a couple potential role players in Infernal Reckoning and Isolate, with the latter being especially interesting due to its ability to answer Expedition Map and Aether Vial as well as early creatures, but these cards aren't particularly interesting since they don't open up anything new or supplement an existing strategy. What I'm looking for are cards that can make something new happen in Modern, either by spawning a new archetype entirely or pushing a fringe deck into a more consistently viable space. It's the latter of the two that I see potential for with a card from Core Set 2019, and that card is Supreme Phantom. The emergence of Humans as the best deck in the format has made me wonder whether there are other tribal decks that are out there for us to find, and a cheap lord is a great piece for a tribe that already has plenty of Modern playable cards. In fact, Bant Spirits is already a fringe archetype in Modern, and part of its power comes from the ability to put lots of lords on the battlefield very quickly. 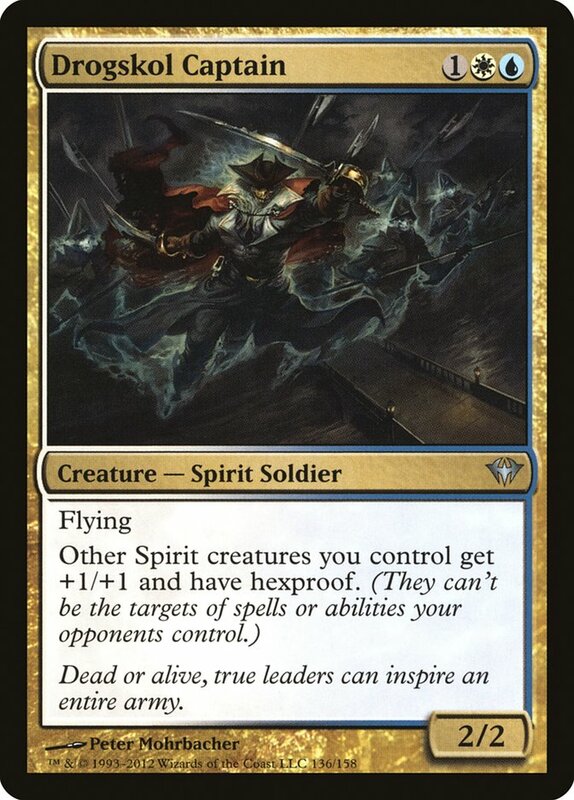 Between Drogskol Captain, Phantasmal Image, and Collected Company, the deck has plenty of ways to pump its other cheap fliers, and having two copies of Drogskol Captain on the battlefield simultaneously automatically insulates them all from removal spells. Supreme Phantom is yet another good hit off of Collected Company, and the three toughness means one other lord is enough to push it out of Lightning Bolt range. 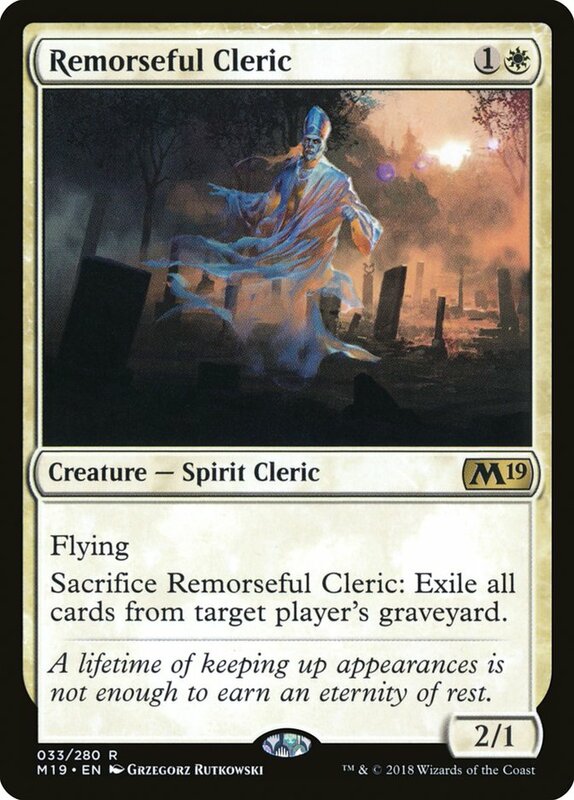 The lords also play nicely with Mausoleum Wanderer and Geist of Saint Traft, making the former's ability more potent and allowing the latter to attack more effectively, potentially surprising a blocker and getting in a huge attack that completely swings the race. There isn't a lot of surprise here for anyone who is familiar with Caleb Durward's list from the Team Constructed Open in Philadelphia earlier this year. With more lords making attacking in the air easier I felt okay moving a Geist of Saint Traft to the sideboard, and I value the proactive protection from Selfless Spirit more than the reactive protection of Rattlechains, even if the latter has added value by giving most of your creatures flash. But with a high density of lords, I can't get away from how good creature-lands become. 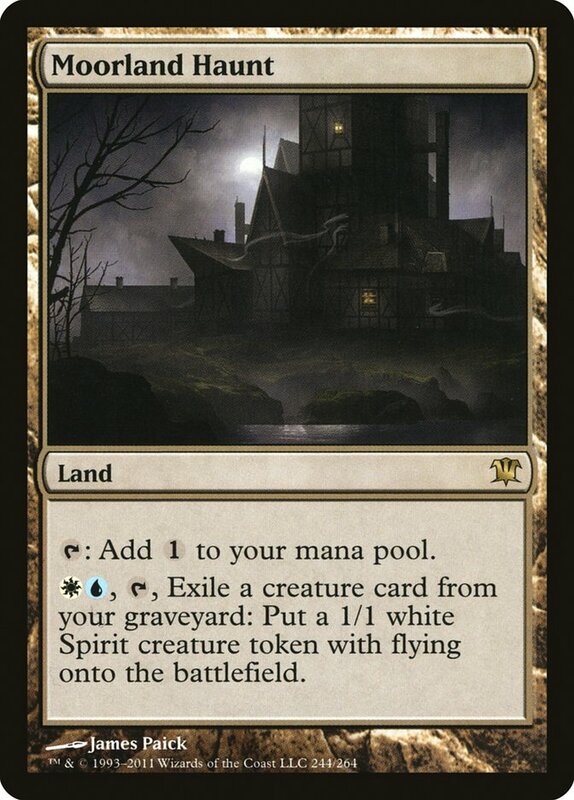 Both Mutavault and Moorland Haunt are very powerful in this kind of shell, but playing them in a three-color deck is untenable, so we need to slim down. 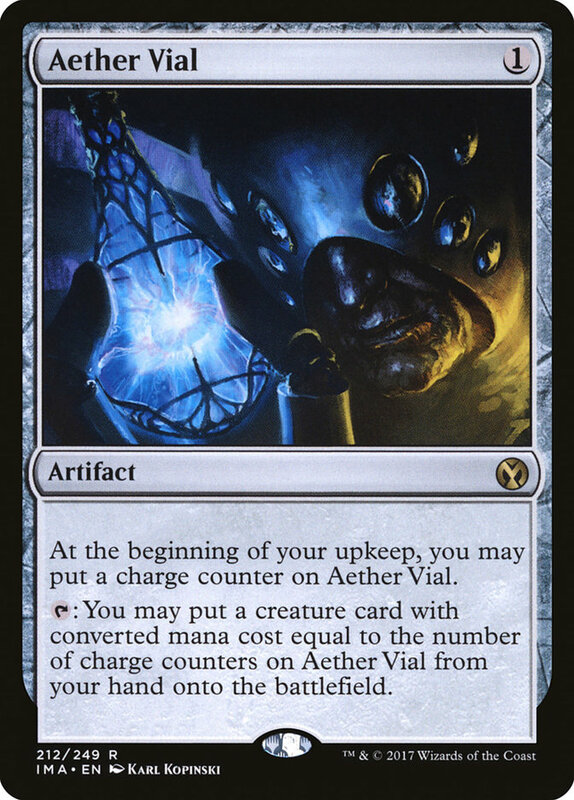 Aether Vial works well now that you have another two-drop and plays nicely with the creature-lands by freeing up your mana for activations rather than casting spells. The exciting part of this deck is just how versatile the manabase is. In addition to the five creature-lands, you now have room for four copies of Cavern of Souls, so of the 21 lands in the deck, nine of them have functionality beyond tapping for mana. Cavern is quite nice because one of the strengths of the tribe is to blank opposing removal. Almost all of your supplementary creatures can protect your high-leverage threats, so counterspells are often the only way to interact with your threats. With Cavern, your opponent is left without recourse. You also get value from the manabase being much less painful than the Bant version. A high density of fliers and plenty of ways to blank removal means you're going to get into a lot of races, so your life total is more relevant than it may seem at first. With only four fetchlands and two shocks, you're not going to cost yourself an extra turn very often. Aether Vial is your replacement for the green cards, and while I would be happy playing it over either of them, having to sacrifice both means you likely take a hit in terms of explosiveness, especially because there isn't another playable one-drop Spirit; that was among the more depressing Gatherer searches in my Magic career. Still, the gain in mana consistency and versatility is real so the question is who wins on the balance. I kept the deck at three copies of Geist of Saint Traft because without Noble Hierarch the card gets a lot worse, and there aren't a lot of ways to get it through ground blockers since you don't do a whole lot of trading. I like the singleton Kira, Great Glass-Spinner since it continues the theme of blanking removal. I also wanted to try another card from the new set in Remorseful Cleric. There are enough decks that are trying to use the graveyard that its ability should come up often, and having it on a reasonable body means you don't get punished if the ability is irrelevant. The added percentage points against graveyard-centric decks, even as a singleton, are not to be underestimated. 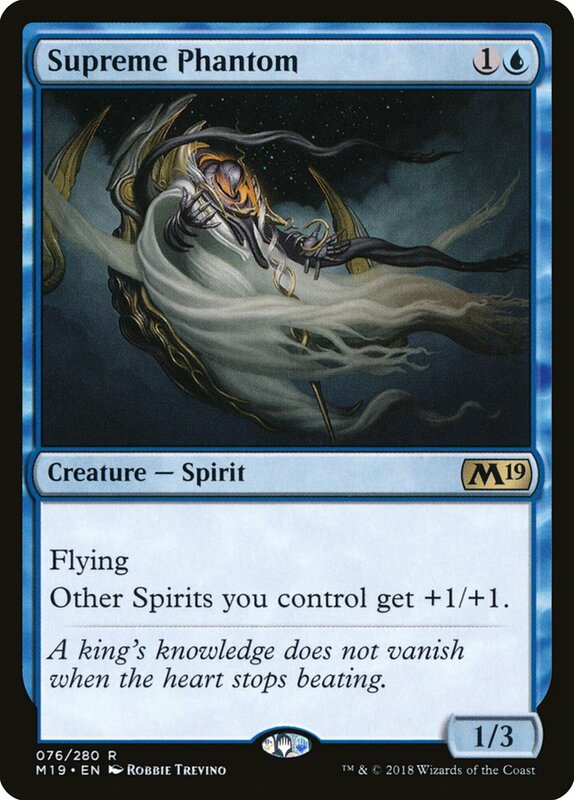 With Aether Vial in the deck Stony Silence becomes less tenable, but still an important card because it's so powerful against Affinity, Tron, and the new Matt Nass darling, Ironworks, so I only trimmed a single copy. 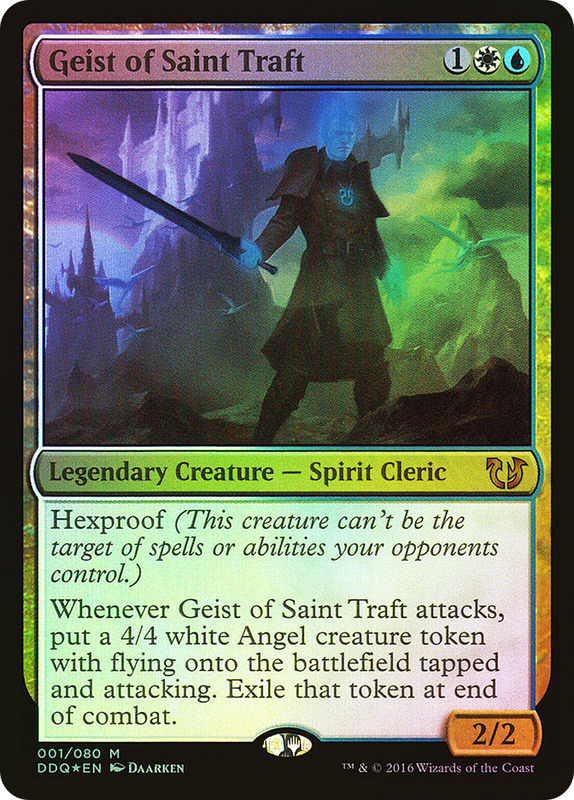 Of course, adding another three-drop to the curve is untenable, and I think moving Geist of Saint Traft entirely to the sideboard, since that's the card that is worst when the deck slows down. And once you're committed to maxing out on lord synergies, I wouldn't mind another lord in the deck. Favorable Winds is a card that I've been looking at in Standard, but it's powerful enough to see play in Modern too. When Lingering Souls makes 3/3s or 4/4s the card is positively busted, and Lingering Souls continues to make spot removal poor. This list kind of feels like what Merfolk always wanted to be. There are plenty of lords but the other cards actually do things and you have real interaction with good removal and a host of great sideboard cards. Thoughtseize makes counterspells less important, but I like Countersquall's ability to cut the opponent off a turn. Zealous Persecution is incredibly powerful in this deck since both halves are great in a race, and you regain the third color to make Engineered Explosives, a card that is so powerful and versatile that I find myself putting it in literally every single sideboard. What worries me about this list is the lack of another good one drop. The presence of more non-creature spells in Lingering Souls and Favorable Winds makes Aether Vial a lot worse, and as I mentioned earlier, the list of other one mana Spirits in Modern is...embarrassing. 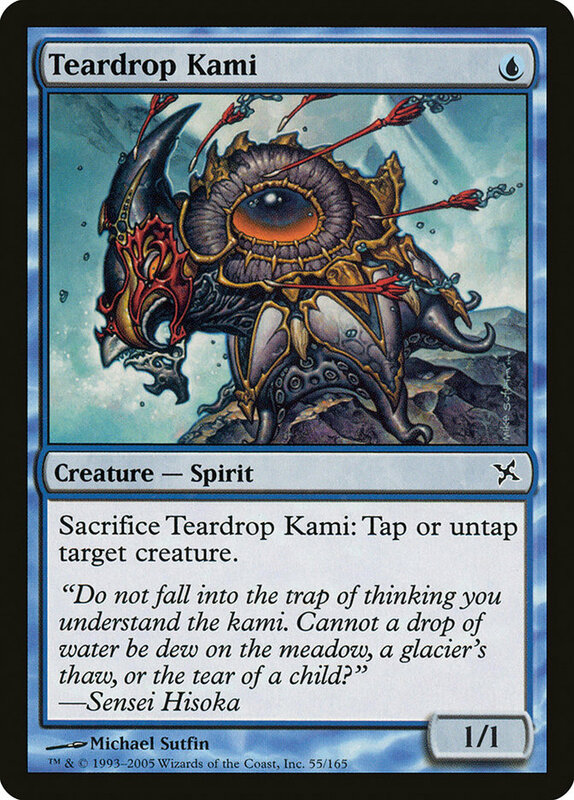 I mean I've registered Teardrop Kami at a constructed FNM before, but those days are long behind me. This makes Creeping Tar Pit more attractive as a one-drop of sorts that can be activated to win a race or kill an early planeswalker, but for the most part you're likely to fall behind more often. Hence I included a fifth one mana removal spell to help you catch up, though I'm relying pretty heavily on Lingering Souls to help on that front, which it's admittedly quite good at doing. With Favorable Winds, maybe you want some other one mana flier like Cloudfin Raptor or two-time Pro Tour Champion Judge's Familiar, but that just seems like too much of a sacrifice on individual card power to be right. Modern is not a forgiving format on that front. This deck is much better than the other variants at playing a long game with Lingering Souls and a second copy of Moorland Haunt. The latter may be too much of a strain on the mana, but with black being a splash and the card being quite powerful with Favorable Winds I'm okay going to two. Plus I have so many fond memories of playing the card in U/W Delver six years ago. That was six years ago? I'm so old. A two mana 1/3 isn't exactly the flashiest card from Core Set 2019, but Modern isn't really about flash. It's about high efficiency and powerful synergies, and Supreme Phantom fills those boxes nicely. 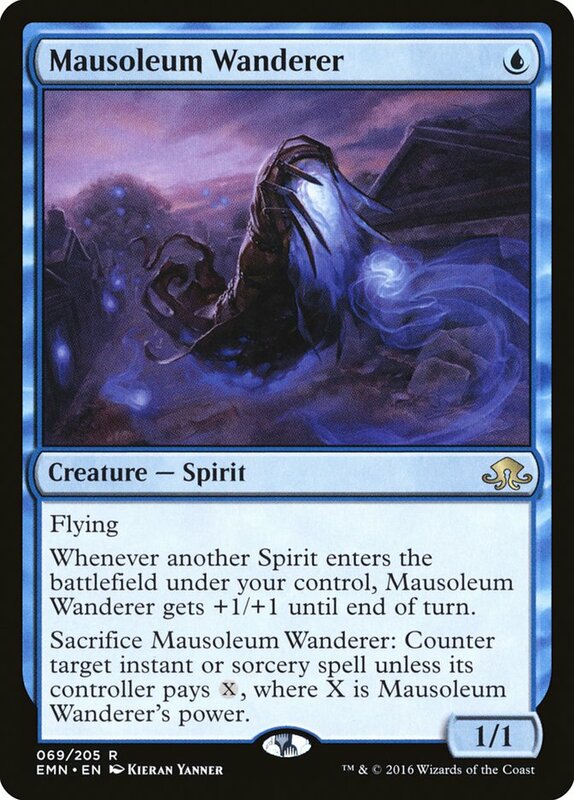 Spirits may have been a dud in Standard, but it only gets better in Modern. At a certain point you have to figure that it will pass the threshold into consistent viability. 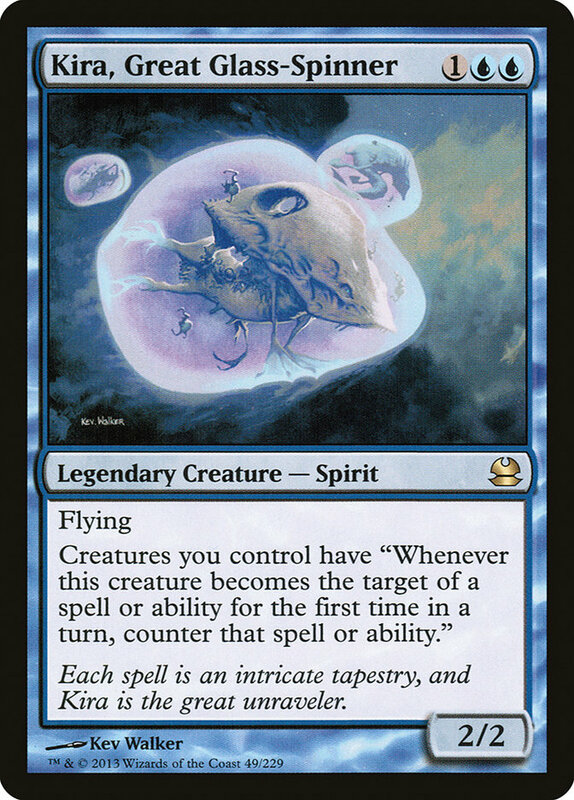 The fact that Spirits tend to be disruptive on their own makes it a great tribe to play with plenty of lords to pump the relatively small but evasive creatures and end with a deck that can pressure and disrupt the opponent simultaneously; the same blueprint that Humans has used to ascend to the top of the metagame. Emulating successful decks is usually a good place to start, and these lists get to play actual spells. Gut Shot may be awesome, but sometimes you need a Path to Exile or a sideboard. It's time to shuffle off this mortal coil and enter the ranks of the flying undead.